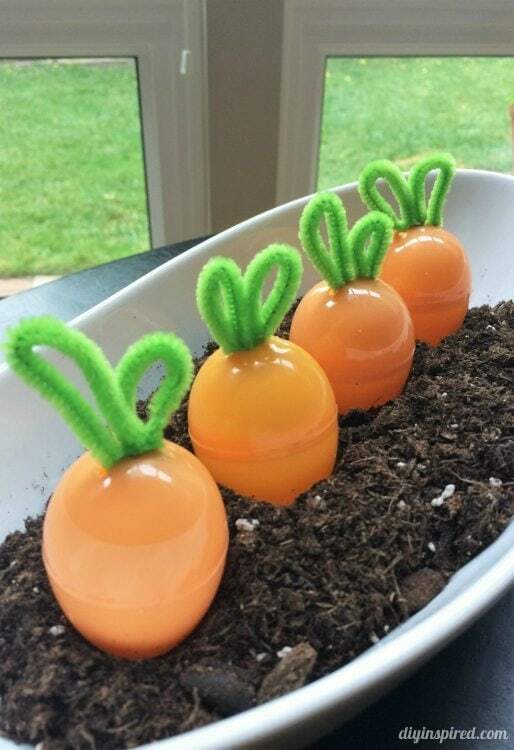 The other day I was looking through an Oriental Trading Company magazine and saw these cute carrot Easter eggs. A split second later I thought, I can make a version of that! 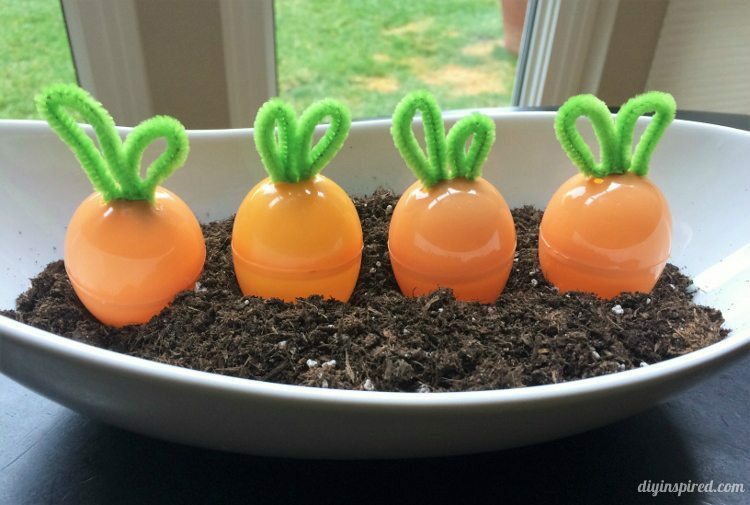 I dug through my craft room and my Easter bin in the garage and found the perfect plastic eggs to make these adorable DIY Carrot Easter Eggs. You only need three materials. These are so easy to make, and it actually took me just a few minutes. 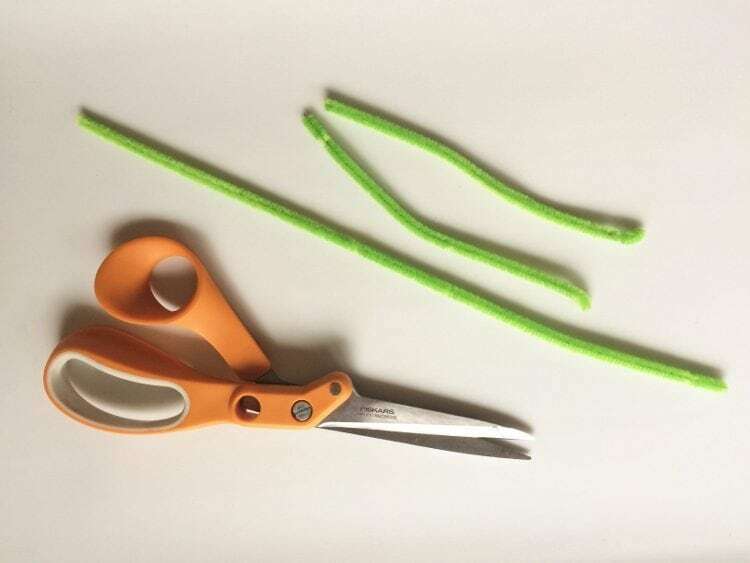 First, cut the green pipe cleaners in half. Each pipe cleaner will make two sets of carrot leaves. 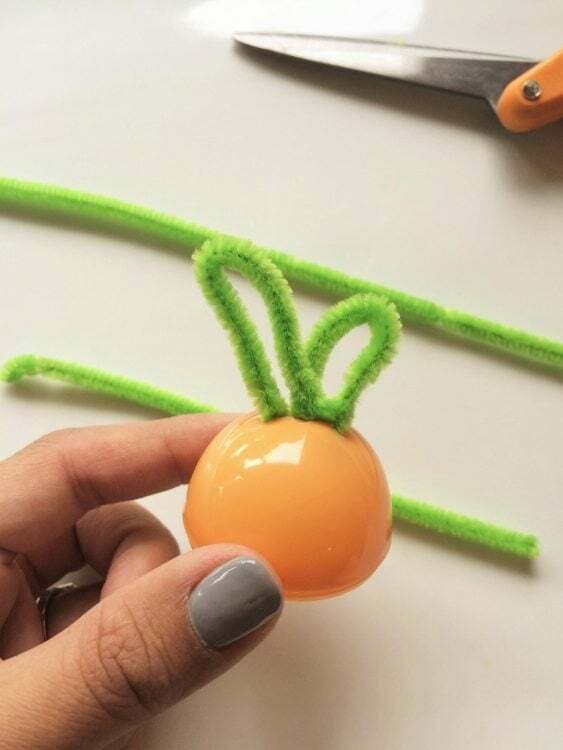 Next, make “bunny ears” with one pipe cleaner. The lengths do not need to match. 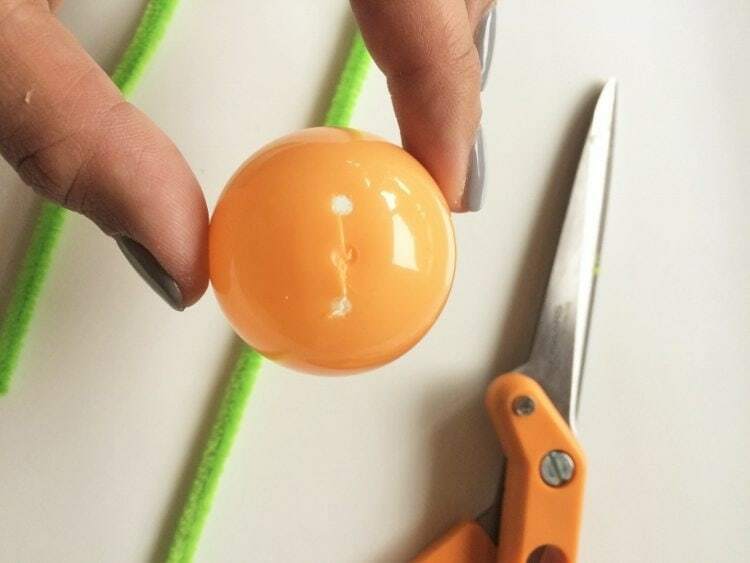 Carefully cut the top of the wider half of the plastic Easter egg. 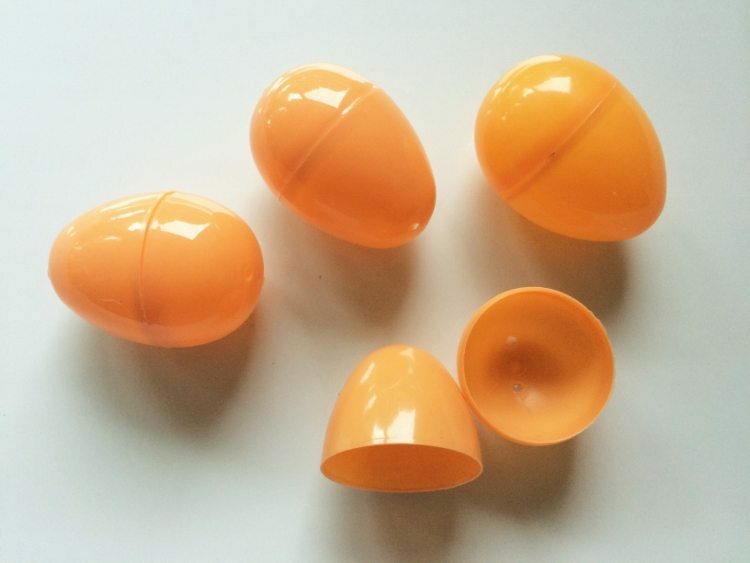 Most plastic Easter eggs already have holes in them, which makes this part easy. Parents, please do this step for small children, as it is a little tricky to snip. 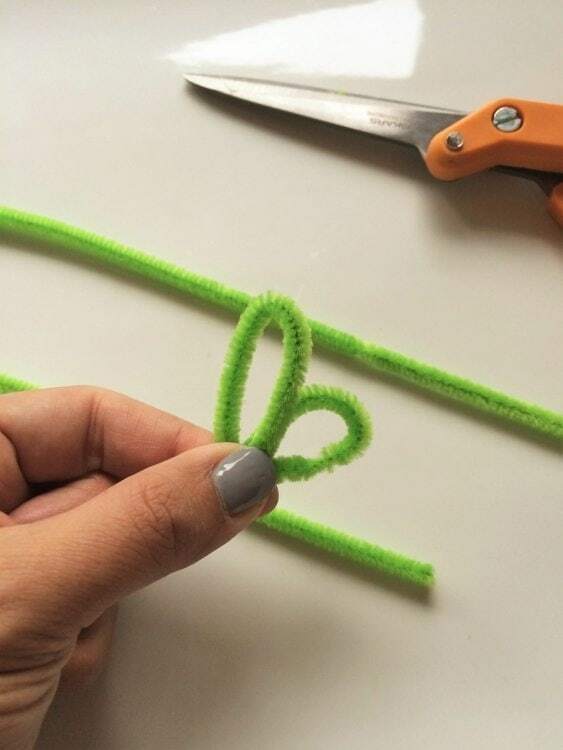 Carefully insert the pipe cleaner leaves into the slit. With a little maneuvering, the leaves will stay put. 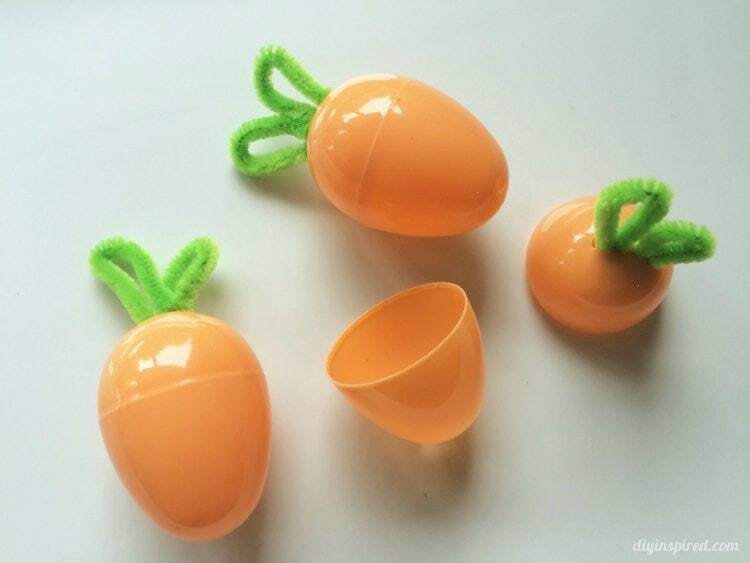 Turn the egg upside down and tuck the pipe cleaner up against the plastic inside the egg. 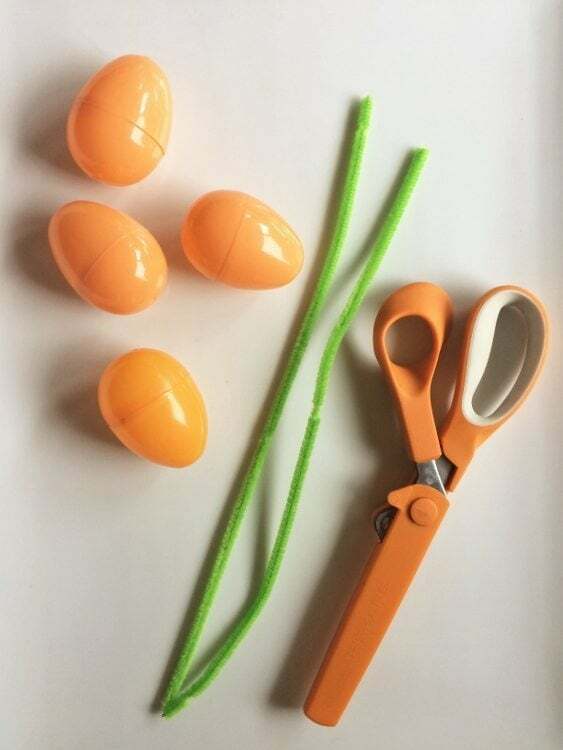 Fill your eggs with candy and hide them in the yard or put them in an Easter basket!